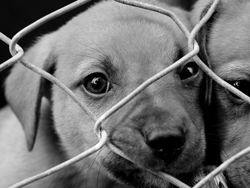 Petition to Help Stop Animal Abuse – Urgent Action! You can make a difference and help save countless animals from suffering. we’ll send it to your D.A. to request mandatory education now. We request D.A.s require that animal cruelty offenders enroll in continuing education, such as the Promote Animal Welfare Education (PAWedu) online course, in order to become more aware of proper animal treatment and help prevent further cases of animal abuse. Animal cruelty comes in many forms. More than 19,000 cases of animal abuse have been reported in the U.S. In many instances, the abusers are repeat offenders. Animal cruelty is serious, tragic, and often preventable. Please help us re-educate first-time animal cruelty offenders in your state now. Join us in the fight to save animals!